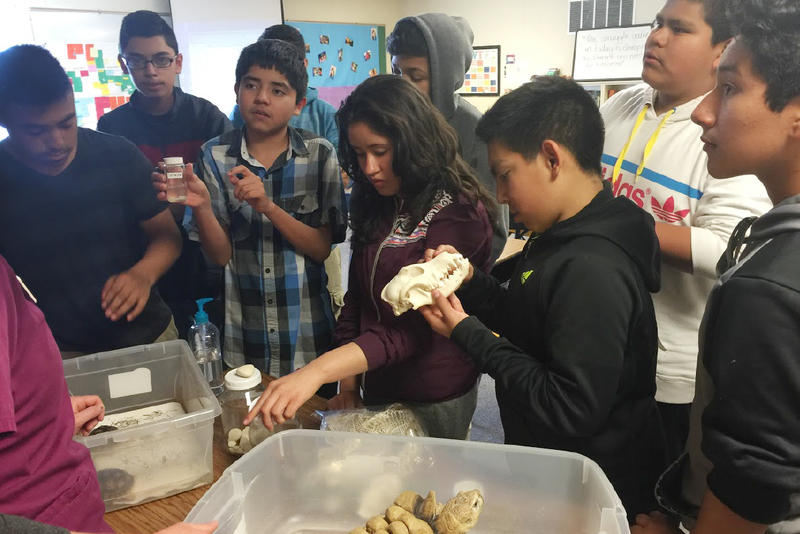 Students in the 21st Century Community Leaning Centers Program get up close and personal with animal artifacts as part of the 21st Century Learning Centers Program offered in the Pasco School District. RICHLAND, Wash. – Students and families at four elementary schools in Pasco will benefit from after-school programming and extracurricular learning experiences thanks to $2.5 million 21st Century Community Learning Center grant to Washington State University Tri-Cities. The school program, supported by the five-year grant, provides students with homework help and access to programs including LEGO Robotics, drama, chess, archery, Minecraft, field trips, fire safety, rocketry and English language learning. Schools also provide a four-week summer program focusing on the science, technology, engineering and mathematics (STEM) fields. This is WSU Tri-Cities’ third time receiving a 21st Century Community Learning Center grant from the Washington Office of Superintendent of Public Instruction. Each grant received by WSU Tri-Cities has served a different cohort of students. The four Pasco schools to benefit from the new grant include Mark Twain Elementary School, Marie Curie Elementary School, Captain Grey Elementary School and Robert Frost Elementary School. The other grants awarded to WSU Tri-Cities through the program also served Pasco schools. Increase academic achievement among target students in reading and math. Provide high-quality learning opportunities that lead to increased positive student behavior among target students. Increase parent literacy levels and opportunities for educational development. Increase the number of community partners who collaborate with the program. 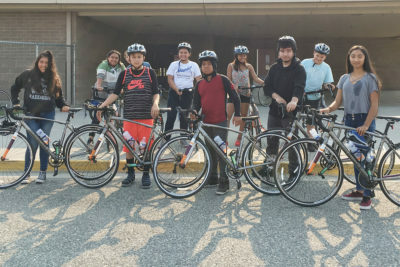 Students participate in a summer bicycle safety program activity at Ochoa Middle School as part of the 21st Century Community Learning Centers Program offered in the Pasco School District. In addition to supporting students at the elementary schools, the program also stands to benefit preservice teachers in the education program at WSU Tri-Cities. “Students wishing to pursue the elementary education degree at WSU Tri-Cities can use the experience to gain exposure to classroom life and to work with students in the after school program,” Scott said. Scott said he plans to work with the grant’s principal investigator, Kate McAteer, assistant vice chancellor of academic affairs, to develop a partnership with WSU Tri-Cities students so that they can work in the 21st Century Community Learning Center programs to gain real-world experience in the classroom. WSU Tri-Cities was one of 10 proposals accepted for the grant program and received the highest funding award allotment allowed by the Office of Superintendent of Public Instruction.